The Agriculture and Environment Committee reported on the Nature Conservation and Other Legislation Amendment Bill 2015 on 05 February. 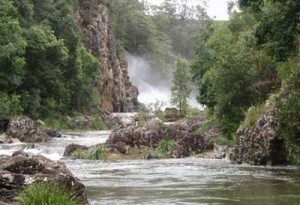 The restoration of fundamental provisions in the Act such as the cardinal principle which recognises National Parks as cornerstones for conservation was crucial to protecting the Kondalilla National Park from an inappropriate zip-line. The Nature Conservation Act is also an integral part of the legislative framework to protect our small, diverse conservation estate from potential commercial activities and intensive uses which would compromise the natural and amenity values of these special places. Minister defends National Parks The Palaszczuk Government has reaffirmed its commitment to treat National Parks in a responsible manner on behalf of Queenslanders, with the Environment Minister Dr Steven Miles hitting back at Opposition demands that National Parks be kept open to “cows and casinos”.“The LNP’s ill-informed comments about our National Parks show they have learnt nothing since losing government and treat them as play things, giving unfettered access to graziers and businesses, cows and casinos,” Dr Miles said.“Under the Newman Government, national parks were nothing more than an exploitable resource, that’s why they changed the Nature Conservation Act in Queensland to allow for commercial activities such as resorts and zip-lines.“Someone should tell them the giveaway is in the title, the Nature Conservation Act. The whole point of national parks is to conserve our unique wildlife and distinctive landscapes.“This bill is simply seeking a sensible series of amendments that ensure national parks are conserved, first and foremost for the conservation of nature. Other compatible land uses such as recreation and ecotourism will still be allowed and encouraged. “I am pleased to see that the majority of submissions received by the committee supported the re-instatement of the conservation of nature as the sole object of the Nature Conservation Act. It shows how out of touch the LNP are on this issue,” Dr Miles said. Dr Miles stressed it was important to dispel the misconceptions surrounding amendments to revert from rolling lease back to term leases provisions. “While an automatic roll-over right applies to some rural leases on State land, it has never applied to those on National Parks,’’ he said. “The current legislation does not allow for a lease extension without agreement of the Chief Executive administering the Nature Conservation Act. Grazing leases on national parks are inconsistent with the management principles for national parks which is why none were extended under this OR the previous government. “Allowing for leases in national parks to ‘roll-on’ was an ill-conceived, last minute addition by the former LNP Government. Even Agforce said in their submission that reverting the leases back would result in no change for the leaseholders. “This Government is committed to a consultative and gradual approach that will see rolling term leases on national parks reverted back to term leases so that appropriate decisions can be made about the future use and management of these areas. “We know some farmers are doing it tough and the change will not impact on the existing rights of the landholder under their current lease, including the term, conditions and authorised use and the continuation of their authorities has given graziers the opportunity for a gradual phase-out,” Dr Miles said.